They say it takes about 23 days to form a habit. Breaking bad habits and starting good habits are essential in maintaining good health and achieving more in business. Oftentimes systems are touted as more helpful than goes, much the same as a lifestyle change is healthier than a diet that only lasts a certain amount of time. 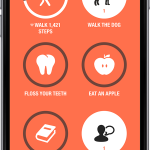 Streaks is the simple tool that is engineered to help track up to 6 habits. 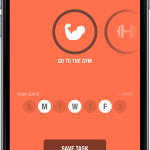 The purpose of the app is to measure your progress and string together consecutive days. By making tracking and reminding ourselves of these tasks easier, the idea is that we can improve a little every day. After using the app, I found it very simple and intuitive, which is great because the work really needs to be focused on forming the new habits, not learning how to work the app. The color of the app is customizable, there are customizable options for icons and the look and feel of the app, resulting in an experience that feels personal to me. My Streaks app doesn’t look the same as everyone else’s because I’m focusing on my lifestyle and what I’m trying to accomplish, not stuck in a race that shows the same screen to all of my friends. As an analytical person, I really got into the fact that I can always see my best streak, giving me something to work towards if I break a day. Anything healthy related was tracked automatically by the app, so there’s no need to sit there and enter in how many steps I took in a day or how many miles I walked. 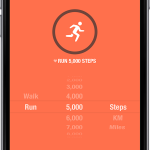 There are several fitness related tasks that users can input and the app is supported by many devices to track walking/running and activity data. I have seen quite a few apps geared toward productivity and the idea of to do lists as a way to be more efficient. Streaks appears to really rely on personalization and a clean design to help users keep going and not get bogged down with app related tasks that take away from the actual forming of the habit. Some issues I see come from the app costing $4.99, which is high for most apps, and it is only available on iOS. Competing apps have done a good job of implementing competition rules and a social component to getting things done, but I can certainly appreciate the simplicity of Streaks, especially if one’s habits are more personal in nature if they pertain to weight loss or drinking and smoking. 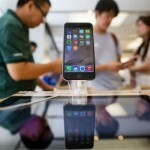 Overall I would recommend the app if you have found that other apps haven’t generally worked. Most apps in this space are too complicated and rely too much on participation to get the most out of it. If you are able to form some good habits and even remove some bad ones from your life, I think the download price is well worth the otherwise cup of coffee you would probably spend that money on. 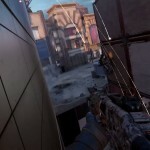 Why Did Sony Go After Call of Duty?